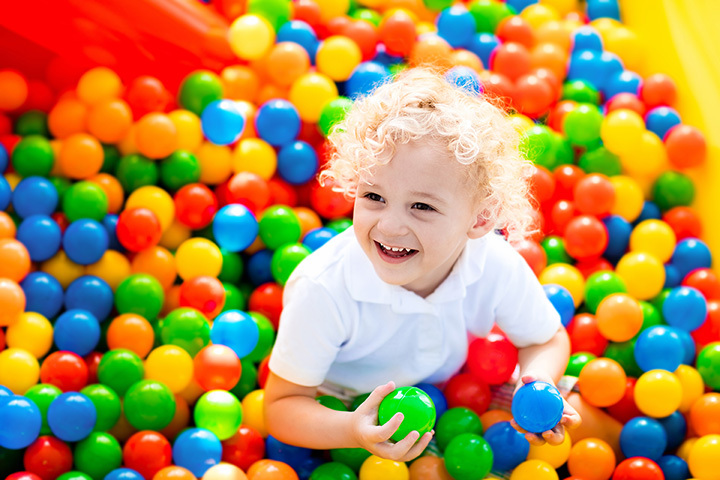 The 10 Best Kids' Play Centers in South Carolina! Oh, to be a kid in South Carolina again! These days, children have access to sprawling fun houses, obstacle courses, trampoline parks, and so much more. These places have just about every kind of activity to delight and inspire young minds while keeping them active. Your kids will be begging you to take them back to these 10 best kids play centers in South Carolina, and it’s easy to see why. Ideal for parents and kids alike, this indoor play place doubles as a coffee cafe so everyone gets the best experience. Inflatable slides and obstacle courses can keep the kids entertained for hours (they even have bouncers for babies!). And the coffee shop is as kid friendly as they come, complete with your favorite caffeinated beverages, sandwiches, and pastries. This sprawling indoor playground is fun for the whole family, and weather is never a problem here. Step inside this little piece of paradise to find inflatables, climbing wall, an obstacle course, separate toddler area, and more. Parents can take advantage of the free Wi-Fi and tv while the kids play, and a visit here every bit as much a treat for you as it is for them. This bounce-friendly place is bursting with color at every angle. Giant inflatables of all sizes are clean and well-maintained and are perfect for kids of all ages. They also have a carousel and Ferris wheel inside, and rides are included in the price. This is the party place you wish you’d had as a kid. There’s a lot happening here, but the ginormous indoor Playland isn’t to be missed. Multiple levels of fun, plenty of slides, and lots of twists and turns can keep kids on their toes for hours. Parents can relax in the cafe with a perfect view of the entire play area to watch the kiddos having a blast—or go join the fun with them! Combining the best worlds of batting cages and mini golf, there’s no shortage of fun under one room. There’s also bouncy castles and plenty of slides to keep the fun going. Kids are certain to beg to have their next party here. Giant inflatables and a soft-play jungle enthrall kids of all ages. From bounce arenas to slides to swings and more, kids can run wild and let their imaginations take wing. This massive family fun center also features an indoor skating rink, arcade, laser tag, go karts, and cafe, so plan to spend the whole day at play. This beloved family fun center features a labyrinth of a funhouse that’s guaranteed to entertain. Unique obstacles and fun features like slides and swings throughout contribute to a maze of wonder, giving kids a chance to explore the multiple levels of play. Even better for parents, there’s only one exit and entrance so you can keep a close eye on your little ones to ensure their safety. One of SC’s only sensory-friendly gyms, kids of all ages and abilities can let their curiosity shine through. Inside you’ll find a climbing wall, zip line, swings, jump pits, slides, and even an art center to spark creativity. The gym offers a variety of classes as well as open play time, as well as a calming room. This mega bouncy house palace has everything a kid dreams of, and they can truly run wild and be themselves here. Situated in the Inlet Square Mall, the zone features a variety of bounce houses, slides, and soft play areas so kids of every age can come enjoy themselves. They also do birthday parties and other fun events. Made for kids ages zero to 10, The Play Zone is the cozy, safe space you’ll want to visit with your little ones again and again. Bright, colorful, and clean, parents love coming here because it’s not usually crowded and they feel good about letting their kids play here. You can pop in for open play, book a party, or join a mommy and me class.